The love of bikes is a powerful thing. No matter the age or phase of life, riding bikes means different things to different people. Courtney Nelson has not had the standard cycling development path. 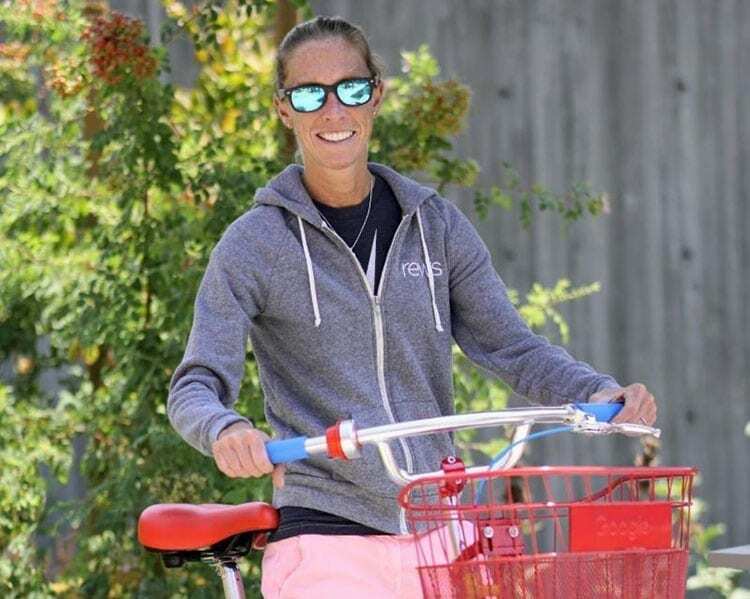 A division I soccer player that headed straight to the financial world after college, Courtney found a bike to explore outside and clear her mind after long work hours. At 35, she will join the TWENTY20 Cycling development program, in balance with her full time job at Google as a Global Real Estate Data Integrity Manager. Driven by a team environment, this late blooming cycling talent is driven by the joy of riding bikes, the challenge of climbing and the feeling of giving 100%. From a young age she was always going. It started with bombing down bunny hills in Vermont and New Hampshire. Courtney then like many youth athletes found soccer and then basketball, softball, street roller hockey…basically every outlet for her energy and her athletic talents. “ Any sport, I played it, be it in the back yard or our dead end suburban street. My parents always made me a snack after school before practice when I sat at the table with my mom and did my homework before heading to the field. In middle school and high school, I was on three soccer teams (school team, premier or club team and the state team) which required tons of travel. My parents were travelling with me to the games, the practices and it created such a strong bond with our family,” said Nelson. Graduating from St. Bonaventure University in 2006, Nelson immediately took a job at Hartford Financial. One day, looking for a challenge Courtney randomly googled job openings at Google. The search engine and tech buzz was minimal on the east coast at the time and she applied for a risk analyst position, dreaming of the West Coast. Courtney is coming into racing later than some, at age 35 however, her passion for riding and her structured mindset and absorption of mileage is ideal. “A former competitor Brianne Szolusha reached out to me to see if I would talk to a woman she knew who had just got into cycling and was crushing the Silicon Valley STRAVA segments. I checked out her profile and sure enough there was a whole string of QOMs – not that it’s always an indicator of pure talent but the miles, elevation and dedication that Courtney was putting in was impressive. I immediately recognized several important traits when I spoke to Courtney: drive, determination and focus. There are many different pathways into competitive cycling, One trait that must be there is passion for riding a bike, and that this woman has,” said Nicola Cranmer, General Manager, TWENTY20 Pro Cycling. Courtney found the bike a year after moving to California, pick up soccer was less than fun – ball hogs, ankle hacking and not ideal hours with her long work schedule in finance at Google. She bought her first bike at a local bike shop and a few months later her sister bought her a bike trainer to ride in the early mornings. However she returned that trainer, and ran into that same employee at the shop. Fast forward and Courtney marries that man that sold her that first bike. The benefit to starting at the beginning of a sport later in life is you have experience and life lessons already. Her first “real ride” was the formal Bike To Work Day Ride organized by Google. She joined the ride leaving from her neighborhood and merged with a small group heading up to the main campus. After that, Courtney continued to find enjoyment in riding and began to commute to work 1-2 times a week. That group ride was the seal of approval, even with limited gears. Courtney had found her passion — climbing. A few years later, Courtney took to really climbing, logging 1.6 million feet for 2016 and then built to 2 million in 2017. Cranmer and sports director Mari Holden have recently focused on a more balanced training to work on weaknesses, adding recovery days, rest days as well as group rides to her schedule. Courtney quickly progressed from a Cat 5 to a Cat 3 with the goal of smaller races this coming spring to integrate her into the team dynamic. “While the team and staff will be mentoring Courtney on all things bike racing, it’s very advantageous to our program to have a mentor showing the juniors and recent college graduates how to cultivate athletic balance and a successful career. I see Courtney as being a huge asset to the program on and off the bike,” added Cranmer. For Courtney she is motivated by the squad mentality, the idea that she can be a part of a team and grow her personal riding skills and hopes to be a part of the team success. Nelson may not have the traditional path to elite cycling, however she has the balanced mindset and determination to learn from others and push herself to find the limit — that is where success is found. This week Courtney celebrates her 10th year at Google.